Instead of starting with slow shutter speeds and blurry water (we'll get to this in a bit) why not take the time to think how you can shoot the waterfall you've found on your travels differently? Try standing on the curve of a river bank so you can use the s-curves created by the flowing water to lead the eye to the waterfall. Look at the scenery to the sides of the waterfall. Do the wet rocks have particularly interesting patterns? Is the foliage particularly vibrant and as a result will make a colourful frame? Closer to the waterfall take your wellies, waders and macro lens with you and photograph the bubbles that are formed. When winter comes around again a few days of really cold weather can turn waterfalls into interesting ice structures and icicles on the edge of banks can turn an ordinary looking shot into something more spectacular. 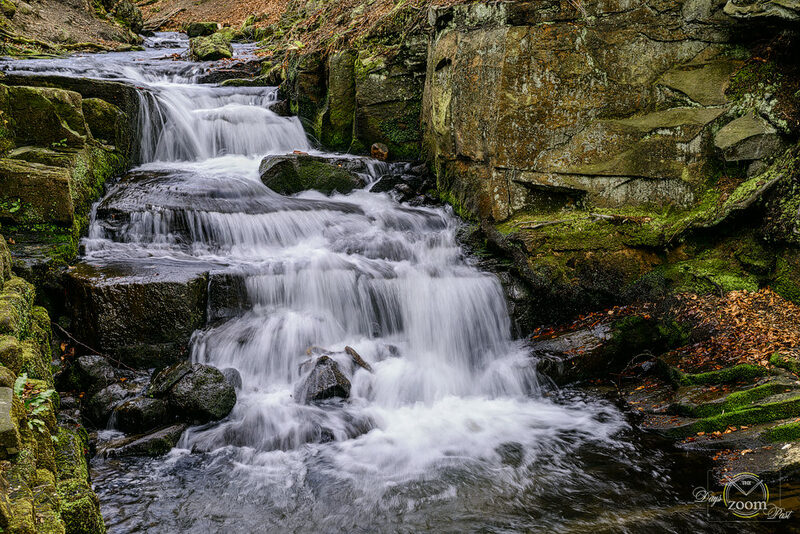 Enhance the power of the waterfall with fast shutter speeds then finally turn your attention to everyone's favourite technique – blurring water with slow shutter speeds. You need your tripod and your camera set to shutter priority. Then, pick a slow-ish shutter speed of around one to two seconds, check your composition and take your shot. If you find your shot's overexposed use a polarising filter or switch to aperture priority mode but then it can take you a while to find the right shutter speed. You can also go back to your chosen location at sunrise or sunset when the light's not as bright.